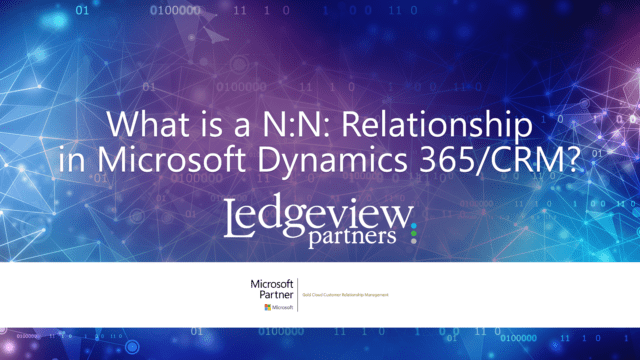 What is a N:N Relationship in Microsoft Dynamics 365/CRM? N:N Relationships are otherwise known as many-to-many relationships in Microsoft Dynamics 365/CRM. They are accompanied by the other two types within the system, 1:N (one-to-many), and N:1 (many-to-one). A N:N (many-to-many) relationship is used to link many records from one entity to many records of another. Each side of the relationship will display the various records that are associated with each other as a result through a subgrid. Behind the scenes, D365 creates a relationship entity that links the records together. This relationship entity cannot be edited, so no additional fields/information can be tracked for the relationship. The most common N:N relationships are records associated with a marketing list. Accounts, Contacts, and Leads can be on multiple marketing lists and each marketing list can have multiple Accounts, Contacts, or Leads associated to it. No other information can be collected about that relationship, just the name of the record and the marketing list it is associated to. Using Contacts as an example, when looking at a Contact related marketing list, it shows a sub-grid of Contacts associated to it. Then, if you look at a Contact record, you can see a sub-grid of all marketing lists it is associated to it. Under “Relationship Definition”, confirm your “Name” and “Relationship Entity Name”. Keep in mind that each of these values must be unique and specific to each N:N: Relationship. When you’re ready, select “Save and Close” to close your N:N Relationship form in Dynamics. Finally, when you’re done with customizations, publish them. If you’re publishing an edit, do so by clicking on the Home tab, then click “Save Group” and “Publish”. To publish every unpublished component at once, click “Publish All Customizations”. 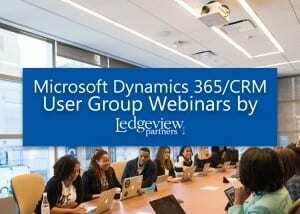 Learn more about Relationships in Microsoft Dynamics 365/CRM when you catch-up and click replay on our December Microsoft Dynamics 365/CRM user group webinar, “Best Practices for the Advanced Admin”. Watch it here, and sign up for the next webinar!